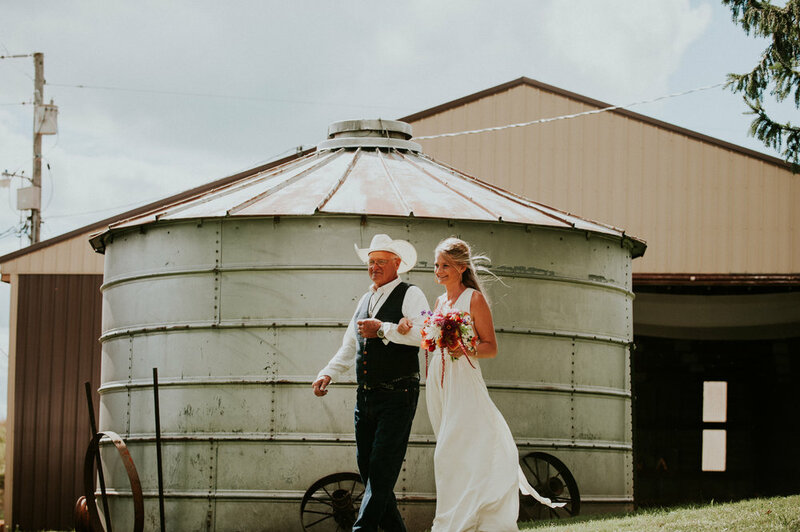 When Vanessa and Adam first reached out to us to let us know they planned to tie the knot on Vanessa's parent's dairy farm outside of Madison, we immediately knew we had to know more. 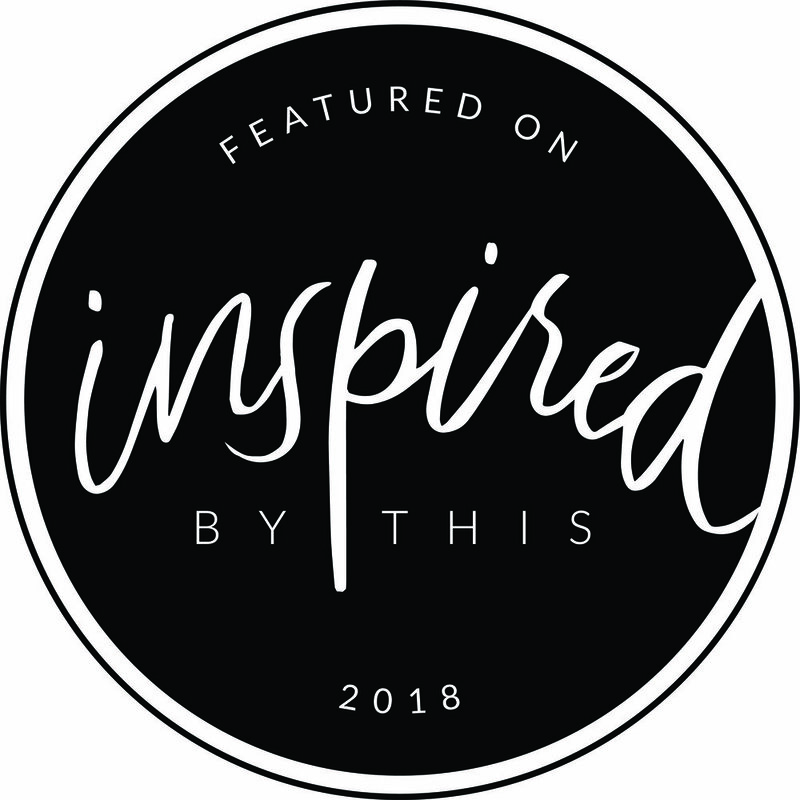 You see, we ADORE unique, personalized weddings, and even though we could tell that transforming a former dairy barn into a wedding venue would be a bit of an undertaking, we were thrilled with the opportunity to help the Kainz family create their idyllic "barn" wedding right on their very own property! Vanessa let us know right away that her parents were taking on a fairly large deal of the work up-front (e.g. sweeping and cleaning the barn out, repairing the building, setting up hay bales, planting flowers, and the list goes on...). 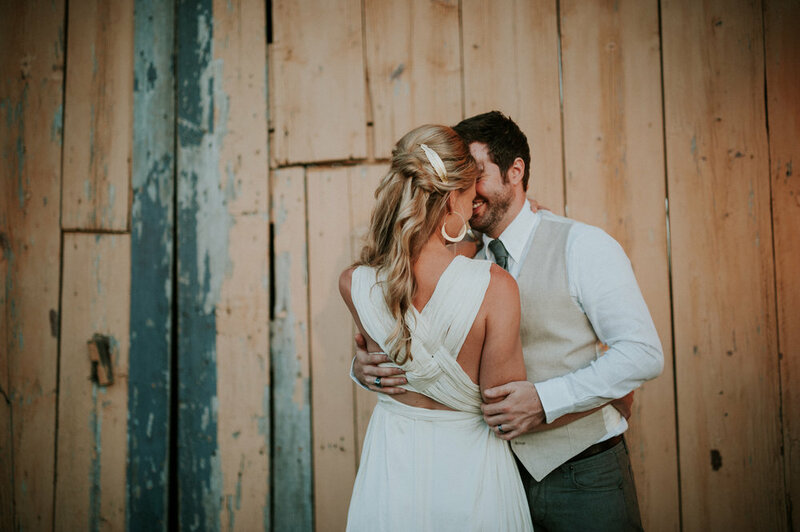 Because of their heavy involvement, Vanessa wanted to make SURE that her parents were able to relax and enjoy the wedding day once it came around, and admire all of the hard work they put into their property. Luckily, taking the stress and work away from the clients and their family and friends is ALWAYS our goal, so we were sure to deliver! 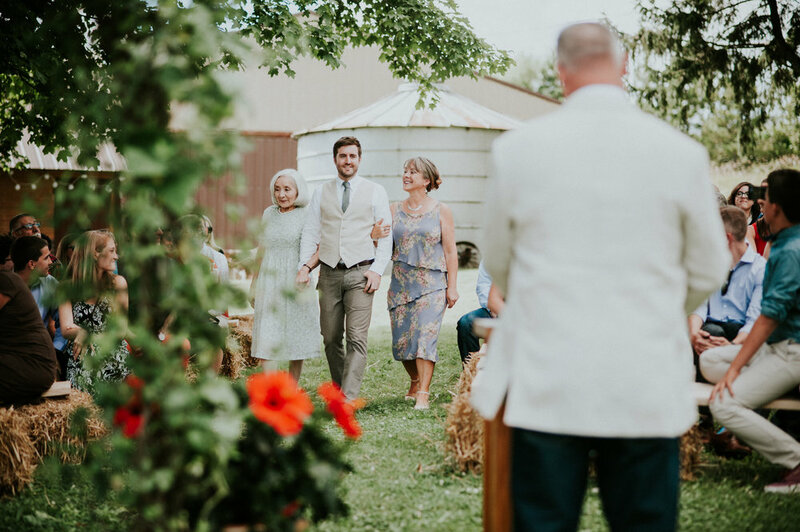 The heart and soul that was put into this wedding day was evident the moment you stepped foot onto the Kainz property. We arrived to the rehearsal the day before the wedding to a beautifully manicured lawn, handmade benches to form the ceremony seats, and a spotless barn with rows of tables lining it. Vanessa chose a bright color palette of locally grown flowers, which her friend graciously bound into bouquets for the ladies. Vanessa and Adam's ceremony was equally as personal as the day itself. Her brother married the two while her two sisters witnessed the nuptials, and a good friend of the couple (and fellow MIT grad) drew up a complex "equation" explaining the science behind Vanessa and Adam's first encounter. It was so perfectly THEM. And we gotta say, helping a bride walk out of the living room she grew up in straight to her wedding ceremony and to her groom is a truly touching and personal honor. The party continued with fresh Wisconsin cheeses, a buffet of smoked Angus steer, and plenty of Spotted Cow and line dancing. Vanessa's mom is a bit of a no-nonsense farm wife, so we knew the day was a success when we glanced over at her as we were leaving and received a glowing two-thumbs-up! 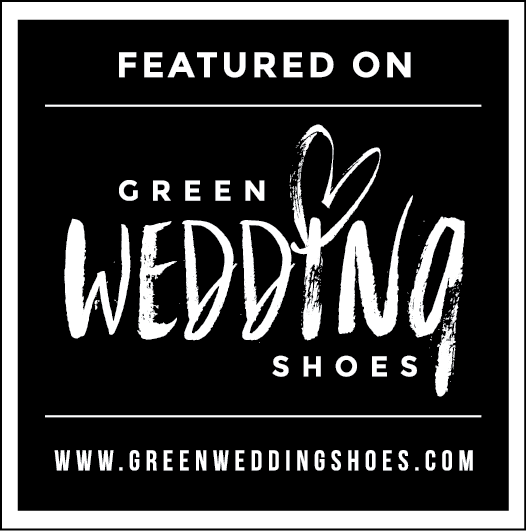 Congratulations, Vanessa, Adam and the Kainz family - we were honored to assist with your dream wedding day!